Winter crops are annual crops sown in autumn and are harvested in spring or summer. 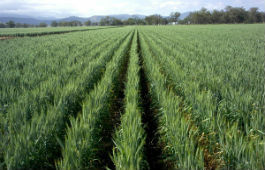 In NSW, winter crops commonly include cereals such as wheat, barley, oats and triticale; oilseeds such as canola, mustard and safflower and pulses such as lupins, chickpeas, fababeans and fieldpeas. The Winter crop variety sowing guide helps to select the most suitable variety and contains updated technical information from the latest research, extension and industry programs. Other management guides provide information on insect control and weed control. A useful set of tools to help farmers make appropriate decisions on crops under difficult conditions. More detail on effects from cutting canola and wheat in drought. A collection of informative videos with an inside look at various agricultural subjects and news stories.